While there are a couple of misses in there its pretty clear that we can expect a real solid NHL player and have a chance at landing a legit superstar. 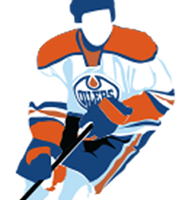 Just keep your fingers crossed that the Oilers end up with a Jonathan Toews and not a Cam Barker! sometimes getting the 3rd instead of the 1st is a blessing in disguise! Very true… The decision will be much easier is Ekblad is off the board.